Fusing areas of sport research previously regarded as separate academic disciplines. Physical and mental well-being issues such as inactivity among children and the increasing number of elderly people who require nursing care are becoming increasingly evident in modern society. 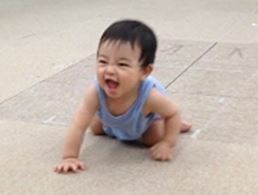 Japan is at the global forefront in terms of the severity of such issues. It is common knowledge that exercise and sports are important for addressing such issues; however, simply saying “We should exercise” to people will not solve the problem. It is essential not only to incorporate elements of fun and enjoyment into exercise, but also to incorporate exercise into everyday habits and routines. Accomplishing this requires an integration of Sport Sciences that utilizes academic expertise in sports and the fusion of sports research areas previously regarded as separate academic disciplines. 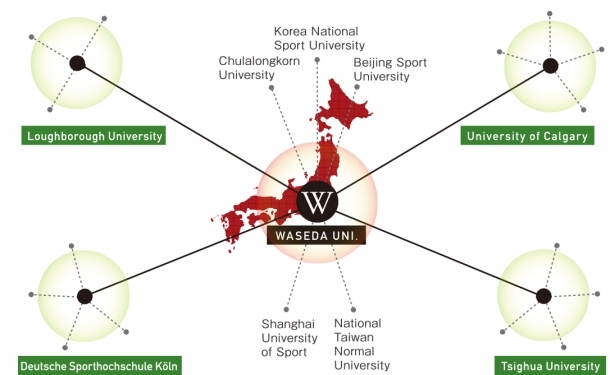 Waseda University has been a driving force behind the rise of sport sciences ever since it created the School of Sport Sciences, the first university-created school in Japan with “Sports” in its name. 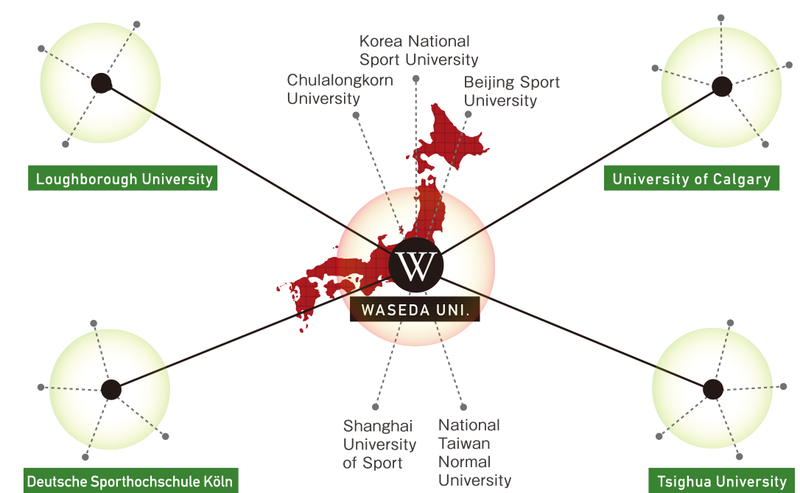 Waseda University’s Faculty of Sport Sciences (School of Sport Sciences, Graduate School of Sport Sciences and the Waseda Institute for Sport Sciences) boasts international education researchers in a wide range of fields, from exercise physiology and biometrics to sports management. We have also turned out a number of top athletes and make great efforts to provide them with all necessary support. 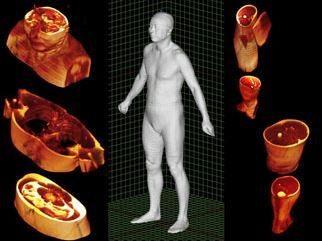 Examples of this support include the physical coach of Japan women’s national soccer team and the team doctors for the Beijing and London olympics. 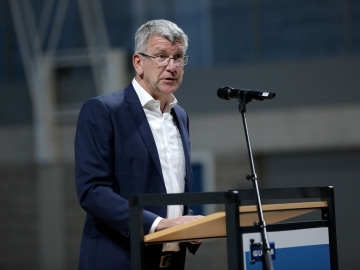 As part of these fundamental values, in 2009 we established “Sport Sciences for the Promotion of Active Life,” a Global COE (Center of Excellence) under a Ministry of Education, Culture, Sports, Science and Technology (MEXT) funding program. This center serves as a center for education and research within the Top Global University Project (TGUP) and its goal is to bring together Waseda’s School of Sport Sciences’ international achievements and energize education and research in this field. The following four education and research projects have been established in order to accomplish this: (1) Health education and sports activities for children and young people; (2) Promotion of health, integrating a number of sports research areas concerning middle-aged and elderly people’s participation in sport, areas previously regarded as separate academic disciplines; (3) Management policies for creating sports environments; (4) Building infrastructure for improving athletic abilities. Waseda will invite academics from overseas to take part in these projects and develop education, research, and practical experience for advancing the cutting edge of health and sport sciences. As part of this initiative, we will implement a system that allows participants to obtain degrees in English, gives short-term invitations for foreign academics using the joint appointment system, and provides overseas training for graduate school students. Finally, as a pillar of our education and research activities, we are also working to bring about “a society where people can continue to lead healthy and enjoyable lifestyles as they grow older. 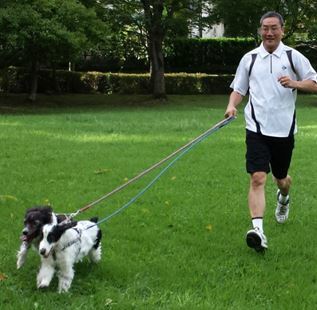 “Central to this initiative is WASEDA’s Health Study, a variety of health studies and tests that we will conduct for the next 20 years among the members of Waseda University Alumni Association (WUAA), an organization boasting around 600,000 members. This study enables us to carry out large-scale, comprehensive analysis of lifestyle factors that influence the health and physical strength of middle-aged and elderly people, male and female, together with genetic variations, sports experience, current health risks and physical fitness indicators (cardiopulmonary strength, muscular strength etc.). We will use this study as a major contribution to the promotion of healthier lifestyles throughout society. 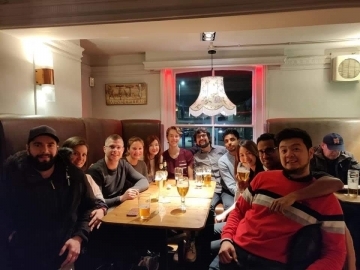 We will further strengthen the international partnerships we have with top-level universities in the field of sports sciences (including German Sport University Cologne, Loughborough University in the United Kingdom, University of Calgary in Canada, and Tsinghua University in China) and accept exceptional international students as well as dispatch Waseda students abroad. We will also establish master’s programs and doctoral programs in English as part of our unique education and research project, all while recruiting the best teaching staff and researchers from all over the world, especially female staff who can serve as role models. Our long-term goal is to become an international hub for education and research in the field of health and sport sciences, attracting the finest human resources from around the world and using sports as a way to help solve the various physical and mental well-being issues that affect people of all ages.